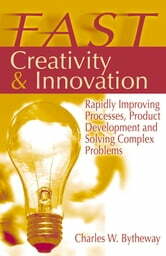 FAST Creativity & Innovation is a landmark work authored by the creator of the method called Function Analysis Systems Technique (FAST) and pioneer of value engineering and value analysis. FAST is a powerful mapping technique that can graphically model goals, objectives, strategies, plans, systems, projects, products, processes, and procedures in function terms to identify function dependencies by organizing them into a cause and effect relationship. This technique quickly brings clarity to whatever situation or problem it is applied and greatly enhances productive thinking, creativity, innovation, and complex problem solving. Some of the basic concepts of FAST have been used for several decades in value engineering, which focuses on decreasing costs, improving quality and increasing value and profits. Derivatives of this original method such as fishbone diagrams, theory of constraints and process mapping came into use in fields such as quality management, new product development, manufacturing, and supply chain and project management. However, despite these developments, many of the original FAST concepts were either overlooked or misunderstood as greater opportunities for success remained untapped. 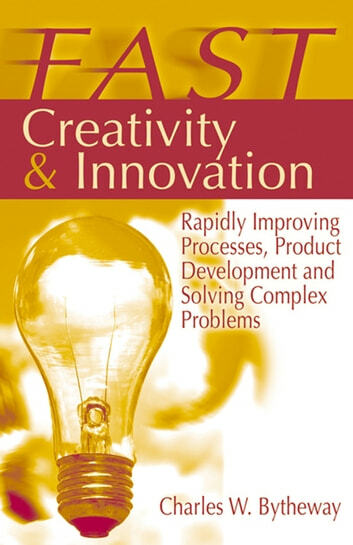 FAST Creativity & Innovation groups all the original concepts together in great detail so you can learn them using easily understood step-by-step examples developed by the creator of this method. See It Shoot It Sell It! How To Teach For Extra Income!